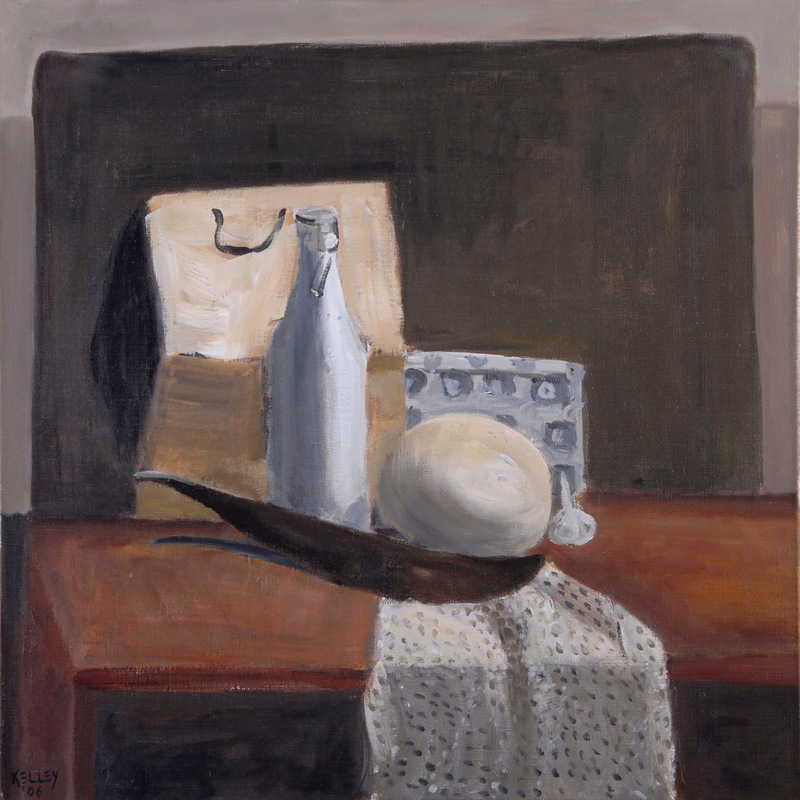 “Brown and White with a Little Garlic” is another piece painted in the style of Imants Vecozols, Latvia’s Painter of White. I love the unique combination of selected objects. It features an egg carton, all-purpose bottle, an ostrich egg, paper bag, Egyptian bean pod and even a faux ermine fur piece designed for a royal robe. Details:Acrylic on Stretched canvas. 65 x 65 cm; 25.6 x 25.6 inches.Price:In a private collection in Albany, Oregon.